Heather Seidler is a certified NRA Rifle and Pistol marksmanship instructor and Range Safety Officer (RSO). She is also certified in NRA’s Home Firearms Safety class and Refuse to be a Victim. She has attended the CMP’s Small Arms Firing School at Camp Perry and worked as a line coach for defensive handgun classes at Alaska Tactical and Security in Anchorage, AK. 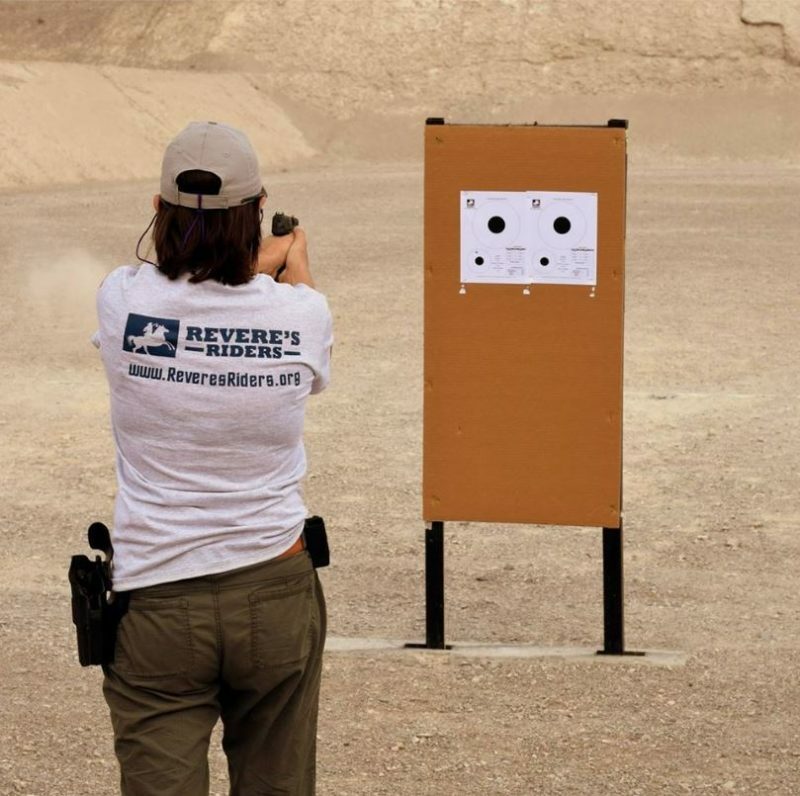 Heather is an active firearms instructor with over four dozen days of instructor and coaching time in the past five years. A graduate of the Pennsylvania State University, Heather holds an undergraduate degree in education and is pursuing a master’s certificate in Revolutionary War History from American Public University in Charles Town, WV. Heather is proud to have ancestors who served during the American Revolution. If you are new to our events and not sure what to bring, check out our “What to Bring” and “Suggested Gear” pages. Don’t See An Event Listed? We have members in over a dozen states and can custom-schedule an event that meets your needs in a convenient location. Please contact us for more information. Please see the Training Event Terms & Conditions for important information on attending Revere’s Riders events. Interested in sponsoring our programs? Contact us to discuss available opportunities. Sign up for our email newsletter to receive Revere's Riders news and occassional special offers. We value your privacy and will never sell your personal information. © 2015-2019. Revere's Riders. All rights reserved. Website developed by Cardinal Acres Web Development.